Germany’s Social Democrats demanded the resignation of the country’s top spy as he faced accusations of sharing sensitive information with far-right Alternative for Germany (AfD). 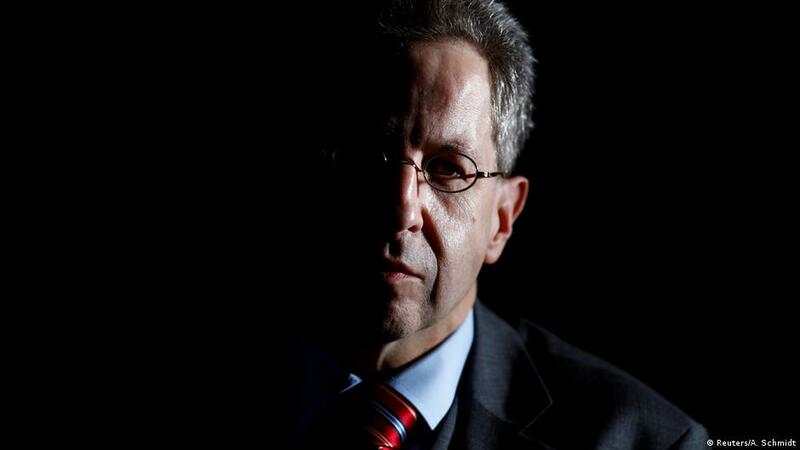 Germany’s Domestic Spy agency (BfV) denied all the allegations against their chief, Hans-Georg Maassen, and said their chief hold talks with members of all parties in parliament at the request of the interior Ministry and did not pass on any information illegally. The relationship between Germany’s domestic spy chief and the Alternative for Germany (AfD) came under scrutiny on Thursday after the allegations were revealed that he passed on information from Office’s yearly report to the far-right populist party ahead of its publication. Interior Minister, Horst Seehofer, told the parliament on Thursday that he put his trust in Hans-Georg Maassen as the president of the Federal Office for the Protection of the Constitution (BfV). Barely after receiving Seehofer’s ringing endorsement, AfD MP Stephan Brandner told public broadcaster ARD that BfV chief had given him “numbers from the yearly report” at a personal meeting on June 13, five-week before it was released. Brandner statement said they discussed about different figures including the number of Islamist extremist in the country during their personal meeting. The Bfv is tasked to track extremist groups and determine whether they present any imminent threat to the country and bring out a report every summer. Maassen has already faced intense pressure after an interview with the Bild Newspaper, in which he directly contradicted Chancellor Angela Merkel statement by questioning the authenticity of videos shared on social media in which migrants are being threatened by BfV on the street of Chemnitz. As Germany’s top spy face fresh pressure over his alleged proximity to the AfD, a challenge for law enforcement agencies to prove whether he is innocent or guilty is tremendous especially when the individual in question is head of domestic intelligence service. According to the report, all the existing evidence against Maassen are not substantial and thorough investigation would be required. Secret services typically work away from the limelight, but Germany’s top domestic spy Hans-Georg Maassen has repeatedly crashed into the public eye, with his latest outing pitting him directly against Chancellor Angela Merkel. Sensitive information regarding National Security can cause an imbalance in the society, leading violence, national protests, endangered lives and more. Recently leaked information about a main suspect came to public triggered violent anti-foreigner protests in Chemnitz. As BfV chief, Maassen leads an agency charged with collecting and evaluating information on efforts to harm the democratic order or which jeopardize Germany’s interests. In the present case, German law enforcement needs an immaculately accurate, non-invasive investigative tool that can be a silver bullet to understand whether BfV chief leaked the sensitive information to AfD on June 13th. They need accurate intelligence and evidence to investigate this high-stake counter-intelligence case against one of their own counterparts in the government. Germany’s leadership desperately seeks new strategies to deal with leak sensitive information after the political fallout from the events in Chemnitz. The finest and the surest approach to finding the culprit behind the leak is through use of an upgraded modern forensic technology that is cost-effective, safe, non-invasive and has an unprecedented accuracy rate that no other existing investigative technology could offer. The technology that can provide the truth behind leak sensitive information is developed by Brainwave Science and it’s called iCognative. iCognative guarantees a high success rate and results as it gathers accurate intelligence about the leaked information such as: who stole it, whom they passes it over, what they got in return and other vital information from the best and foolproof source- the human brain. The information that cannot be gained through any conventional investigative tools. The capability to accurately detect whether specific information is stored in a person’s brain is unparalleled, therefore, it makes the iCognative, the most powerful and impeccably accurate intelligence gathering/verifying tool ever known to law enforcement to this day. A 45-minutes iCognative test when utilized by German Law Enforcement agencies, would reveal Maassen’s connection to the leaked information, whether he shared the sensitive information illegally or is he being framed. The technology not only helps law enforcement agencies find the culprit but also provide accurate hidden links, connections and intelligence to investigate in the right direction i.e. identify and arrest every co-conspirator on such National Security case before further damage is done to German interests. iCognative was invented to protect the interests of a nation through the power of brainwaves. The conventional investigative methods such as interrogation, polygraph, fingerprinting, DNA won’t provide enough evidence or intelligence to find Maassen guilty or innocent. Only with the use of scientific, accurate and unbeatable iCognative technology, law enforcement agencies in Germany can ensure the safety of the Nation and restore faith in their intelligence services chief spy and the intelligence community. Furthermore, the power of iCognative technology might as well be utilized to root out any suspicious actors within the domestic intelligence agency (BfV).